Due to the importance of your vehicle's health, a recall can be a devastating blow to your fleet. Fear not, there are steps you can take to check vehicle recalls and alleviate the pain associated with potential downtime. Properly functioning vehicles is the essence of an effective fleet operation. In 2017, 30.7 million vehicles were affected by recalls, far outweighing the 17.2 million cars and trucks that were sold that year, according to the National Highway Traffic Safety Administration (NHTSA). Surprisingly, that staggering number of vehicles affected was down from the record 53 million in 2016. Still, the number of vehicles affected should give you all the motivation necessary to routinely check vehicle recalls that could affect your fleet. But what happens if your vehicle falls victim to a manufacturer recall? If a vehicle in your fleet is recalled, the first thing you should do is ensure no driver uses the vehicle. While this might seem obvious, it can be easily overlooked depending on the severity of the defect. Even if the recall seems minor, do not run the risk and compromise your driver's safety. If your vehicle is recalled, the manufacturer is required to send you a vehicle recall letter. How Do I Get My Recalled Vehicle Fixed? Typically, you will have to set up an appointment for the vehicle repairs with your local dealership or a certified repair shop. The details should be outlined in the recall letter. If for some reason it is not, be sure to contact the manufacturer directly. Depending on the severity and amount of affected vehicles, as well as the availability of the parts and technicians, there might be a delay in service. If a significant backlog of repairs occurs, some manufacturers will issue you a loaner vehicle to use in the meantime. Be sure to take advantage of this offer as it is free of charge and will enable you to keep your fleet operating despite the recall setback. Remember, this loaner offer is up to the discretion of the manufacturer. As a fleet manager, being proactive instead of reactive must be second nature. In order to get in front of issues, you should set up a system to routinely conduct a vehicle recall check. 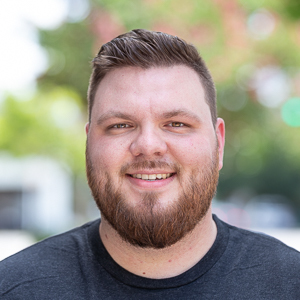 Doing this manually can be time-consuming, but there are software solutions, like Fleetio that will send you a notification the moment your vehicle make and model appears on a recall list. This way you can act immediately and "get to the front of the line" in the case of a vehicle needing repairs. 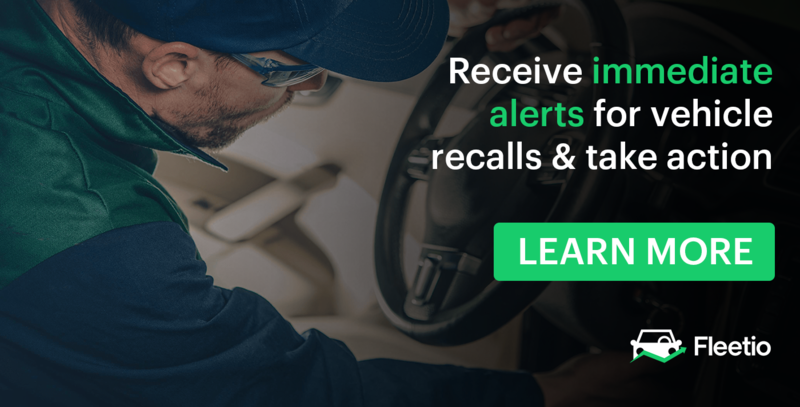 Using Fleetio’s recall management solution, you will be alerted when there is a new match between a safety recall and your vehicle daily via email. You can quickly create issues for those recalls, allowing you to track them against the final repair and keep detailed, up-to-date service records for each vehicle. This makes it easy to track effective downtime and when it’s time to re-market, you’ve got a complete service history, all in one place. Remember to log and check the vehicle recall repairs similarly to your maintenance providers. This includes conducting your own quality control check, tracking the turnaround time and measuring any performance improvements. You can also implement routine pre- and post-trip electronic inspections and ensure the replaced or repaired part from a recall is properly functioning. 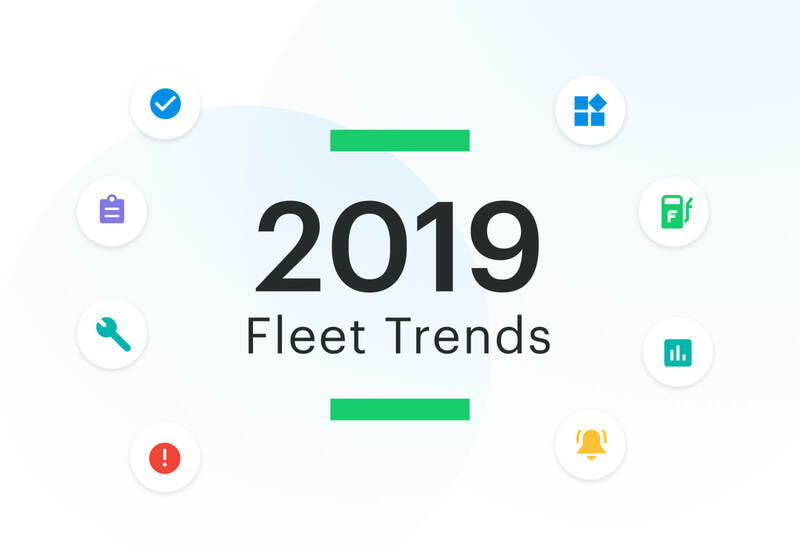 Start your 14-day free trial of Fleetio's fleet management software in order to easily gather and analyze data and effectively manage your fleet.